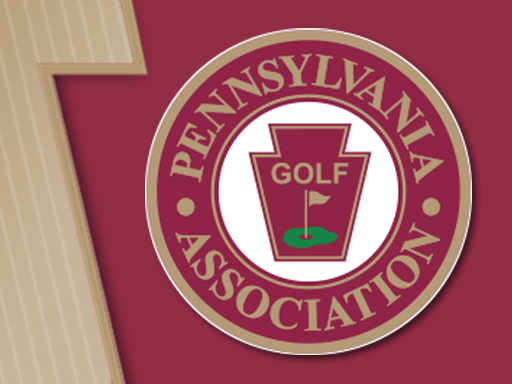 LANCASTER, Pa. - Monday's opening round of the 102nd Pennsylvania Amateur started and ended with a weather delay. But in between those bouts with Mother Nature, professional Craig Hornberger teed it up on his home course of Lancaster Country Club and fired a 5-under par 65 for the opening round lead in the championship, which is presented by LECOM. The first round is not officially complete, as 10 golfers were still on the course when lightning in the area caused the end of the day's play at 7:53 p.m. Those players will complete their rounds on Tuesday morning when the championship will resume. Early Monday morning, the entire round was in doubt due to heavy rains overnight. "I wasn't sure we were going to get it in this morning," said Hornberger. But a two-hour delay was finally cleared at 9:30 a.m., with the opening groups teeing off then. Hornberger's day started on the 10th hole at 10:10 a.m., as the skies finally cleared up. However, the 23-year old who grew up at LCC did not start off as he'd hoped, as he bogeyed the 10th. "I've been looking forward to this event all summer," Hornberger said. Hornberger rallied, though, with an eagle on the par-5 13th to jump start his round. "I hit a really good shot over the pine trees to 10 feet," Hornberger said. He converted the putt to get under par for the round. He got another red number with a birdie on No. 16, a 357-yard par 4. After a 5-iron tee shot found the fairway, Hornberger hit pitching wedge from 125 yards to about 15 feet and sank the putt. Two more pars finished off the opening nine for Hornberger. He started the second nine better than the first, as he made another birdie on No. 1. His tee ball landed just in the right rough, but he was able to knock a sand wedge from 101 yards to only two feet. Hornberger was 3-under par when he got to the 396-yard par 4 fourth hole. Again he hit iron off the tee, this time a 3-iron that landed in the fairway. With 108 yards to the hole, his approach landed a little behind the hole and then spun back to about five feet. On the 7th hole, Hornberger missed an eagle putt but was able to tap-in for yet another birdie, moving him to 5-under par. He then made only his second bogey of the day with a slip up on the eighth hole. "I wanted to finish strong after that bogey," Hornberger said. The motivation was apparent, as Hornberger smacked a driver on No. 9 to about 145 yards, where he hit a 9-iron to just a few feet away. He then rolled in the birdie to complete the round, which was one of many he's played at the venerable William Flynn design in recent weeks. "I've been playing out here pretty much every day lately," said Hornberger, who turned pro in October and has been competing on the PGA Latinoamerica tour this year. Trailing Hornberger is a group of four professionals and one amateur who all shot 67 (-3). Among that group is 1998 Pennsylvania Open champion Stu Ingraham, who had a bogey-free round. Professional Ben Boyle of Boiling Springs, Pa., carded five birdies en route to his 67. Travis Howe, a professional who is an assistant coach on the Penn State men's golf team, was under par throughout the day as well. Then there is Chris Crawford, who shot 3-under despite a double bogey on the par-5 13th hole. The lone amateur in that group at 3-under par is Zachary Barbin of Loch Nairn Golf Club. Barbin, who plays on the Liberty University golf team, is in the midst of a strong summer which also saw him as the stroke play medalist in the Maryland State Golf Association's Amateur Championship.